Hypokinetic dysarthria (HD) occurs in 90% of Parkinson’s disease (PD) patients. It manifests specifically in the areas of articulation, phonation, prosody, speech fluency, and faciokinesis. We aimed to systematically review papers on HD in PD with a special focus on (1) early PD diagnosis and monitoring of the disease progression using acoustic voice and speech analysis, and (2) functional imaging studies exploring neural correlates of HD in PD, and (3) clinical studies using acoustic analysis to evaluate effects of dopaminergic medication and brain stimulation. A systematic literature search of articles written in English before March 2016 was conducted in the Web of Science, PubMed, SpringerLink, and IEEE Xplore databases using and combining specific relevant keywords. 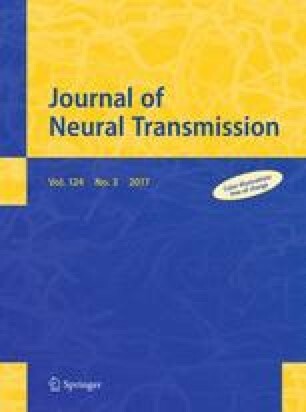 Articles were categorized into three groups: (1) articles focused on neural correlates of HD in PD using functional imaging (n = 13); (2) articles dealing with the acoustic analysis of HD in PD (n = 52); and (3) articles concerning specifically dopaminergic and brain stimulation-related effects as assessed by acoustic analysis (n = 31); the groups were then reviewed. We identified 14 combinations of speech tasks and acoustic features that can be recommended for use in describing the main features of HD in PD. While only a few acoustic parameters correlate with limb motor symptoms and can be partially relieved by dopaminergic medication, HD in PD seems to be mainly related to non-dopaminergic deficits and associated particularly with non-motor symptoms. Future studies should combine non-invasive brain stimulation with voice behavior approaches to achieve the best treatment effects by enhancing auditory-motor integration. This work was supported by the grant of the Czech Ministry of Health NV16-30805A (Effects of non-invasive brain stimulation on hypokinetic dysarthria, micrographia, and brain plasticity in patients with Parkinson’s disease). Kim Y, Choi Y (2016) A cross-linguistic approach to speech intelligibility in people with PD. Mov Disord 31 (suppl 2). http://www.mdsabstracts.org/abstract/a-cross-linguistic-approach-to-speech-intelligibilityin-people-with-pd/. Accessed 11 Jan 2017 .